Located in Western, New York State, the Finger Lakes Region is named because of its eleven narrow lakes (Keuka Lake pictured above). 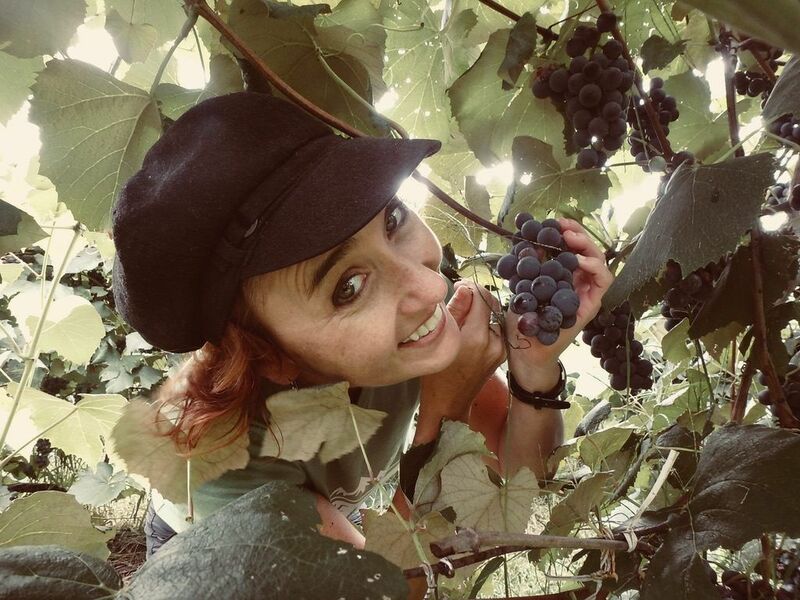 The combination of climate and terrain has made the region fertile ground for much agriculture, in particular, the wine industry, which has indeed sparked an increase in visitors with adventurous palates. My first visit to the area with stops in Corning, Watkins Glen, and Hammondsport was in the fall of 2013 (pictured above). However, I had only scratched the surface of the beauty of the area. With a second opportunity to experience new adventures, sights, smells, and tastes, I dove into the Finger Lakes with both feet. 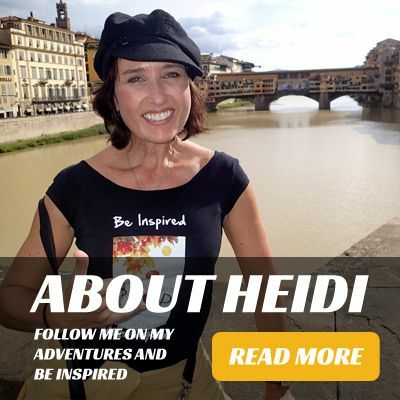 Come along with me as I share how you can hike, fly, race, and refuel in the Finger Lakes Region of New York just like me too. There is not much I enjoy more than a good walk in the woods. Now more than ever with our cell phones enticing us to be working or socializing all day and all night online, I find that I turn to nature to turn off and tune in. 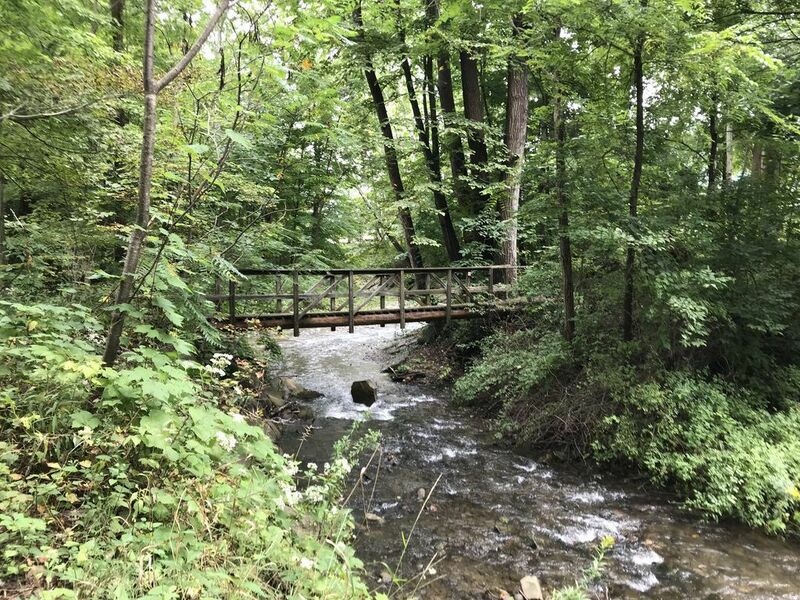 That's why I chose to spend a bit of time on the region's longest hiking trail, the Finger Lakes Trail. 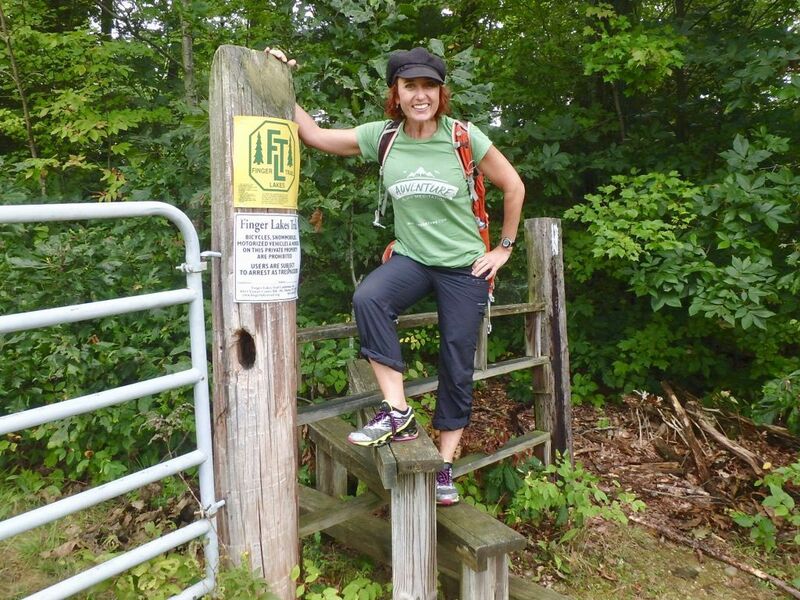 I didn't have multiple weeks to hike the entire Finger Lakes Trail, which is over five hundred and eighty miles. However, I did get a taste on a wonderful stretch called Mitchellsville Gorge Trail, which was a relaxing 2.4-mile section with shade trees, soothing river sounds, and with a finale, any wine lover wants to see, of a bridge leading to a vineyard (bridge pictured above, grapes pictured below). Yes, paradise has been found again! 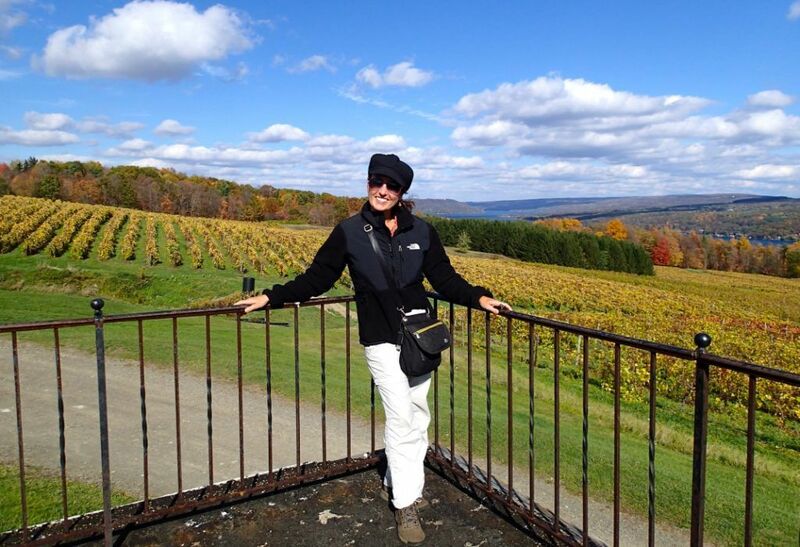 Ok, if you didn't already know or you have forgotten my intro, the Finger Lakes Region is known for its wines. It has over one hundred vineyards. Probably the most notable varietal is its Reisling wines. On my first trip, I was shocked by the quality and the lack of the sticky sweetness that I remember from previous Reisling experiences. However, as this was my second time, I was looking for a place that would surprise me with estate wines worthy of placement at some of the best fusion restaurants in the world. I found it with Keuka Lake Vineyard. This fine estate wine vineyard blew my mind and taste buds. As I swirled and swooshed, I listened to the tasting room guide list the finest NYC and Toyko restaurants serving the Falling Man Reisling. It was very impressive. However, my palate loves a zippier, citrus forward wine. I found one to take home with me, the Vignoles 2015. As a Sauvignon Blanc aficionado, this was right up my alley. I'm happy to say it made it safely home in my checked bag, but it didn't last until a special occasion. 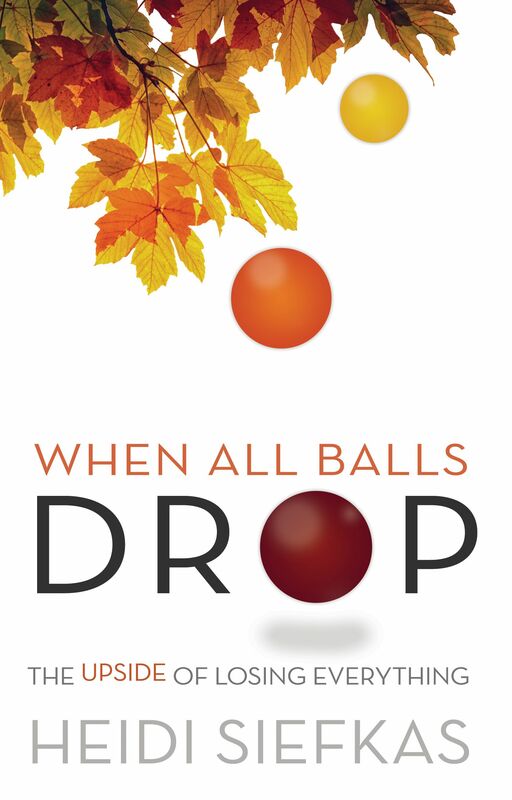 When in the Finger Lakes, do the wine lover in you and your wine lover friends a favor and stop by KLV for a tasting and a souvenir bottle or case. This was an opportunity to combine my love of adventure with two different types of travel on water and in the air. If you haven't had the adventure of riding in a seaplane, it is amazing. 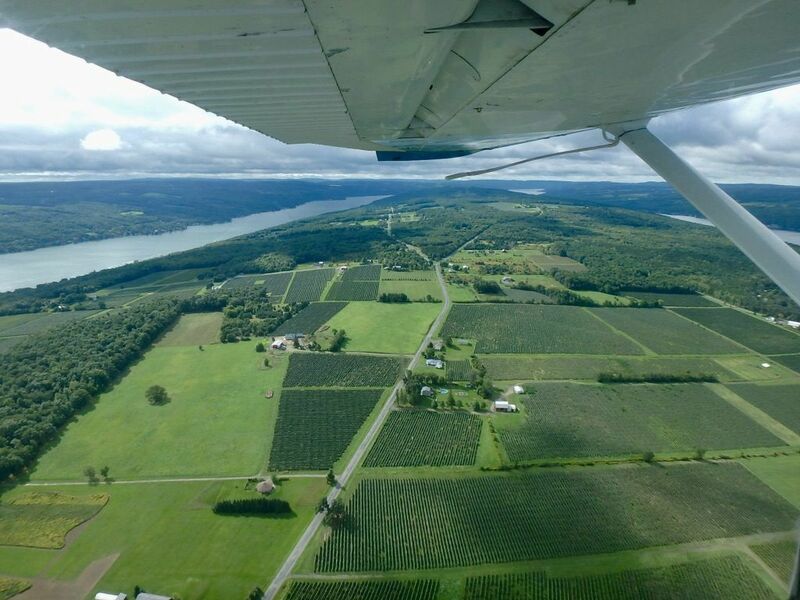 I boarded with the owner of Finger Lakes Seaplanes and lead pilot, Bob Knill, as well as a fellow travel writer, Jason of SoutheasternTraveler, and my PIC for a bird's eye view of the many vineyards and the Y-shaped Keuka Lake. The day was spectacular, with light winds, great visibility, and plenty of conversation and travel tips for the rest of our stay in the area. The colors of the flight were vibrant. Firstly, the verdant hills were a testament as to why the area is producing such great wine, beer, farm to table cooking, honey, ice cream, and more. Secondly, the water of Keuka lake was so inviting. If I didn't know any better, I would have thought it a great day for a dip, but I know better than to trust the Northern lakes anywhere. Brrrrrrr. With an adrenaline buzz, it was time for refueling at the Village Tavern. With many farm to table options from Ford's Farm, the owner Suzanne explained the significance of going on a seaplane ride in the birthplace of Seaplanes as well as giving her personal recommendations for a tasty mid-day meal. I'm a believer in trying many dishes to see what the chef and the region can put together. 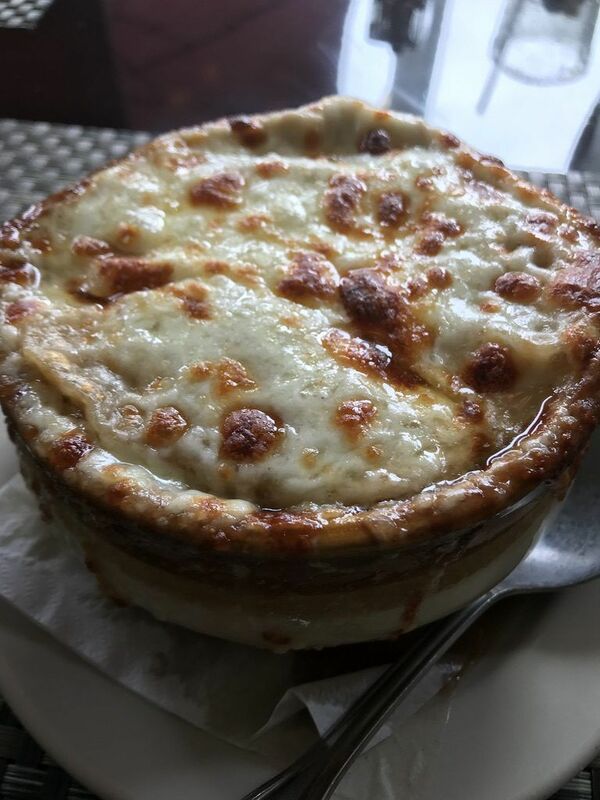 Hailing from THE Cheese State, I always go for a French onion soup if it is on the menu. The warmth in my belly as well as the ooey gooey goodness was a great start. 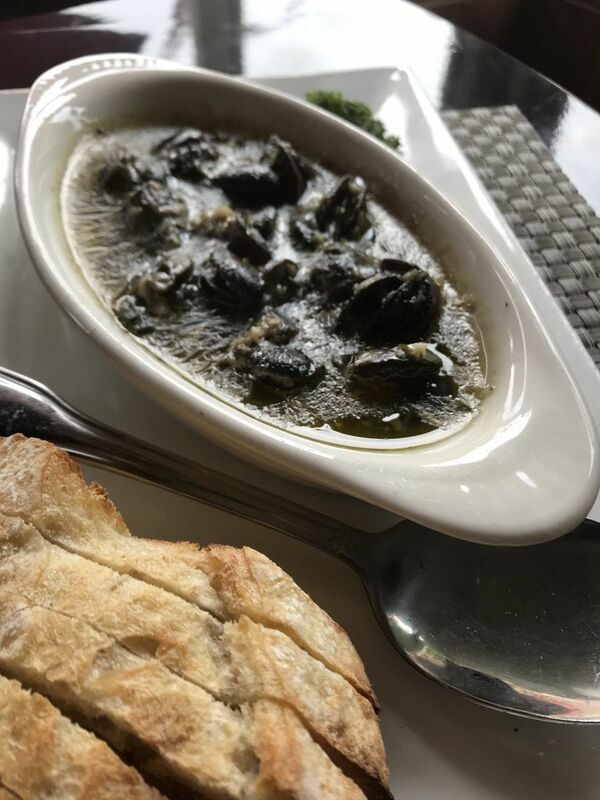 To taste some of the farm's yumminess, I devoured a salad as well as tried my first escargot even though I was previously married to a chef and lived in Europe for years. Bravo chef and Suzanne for a delicious refueling stop! 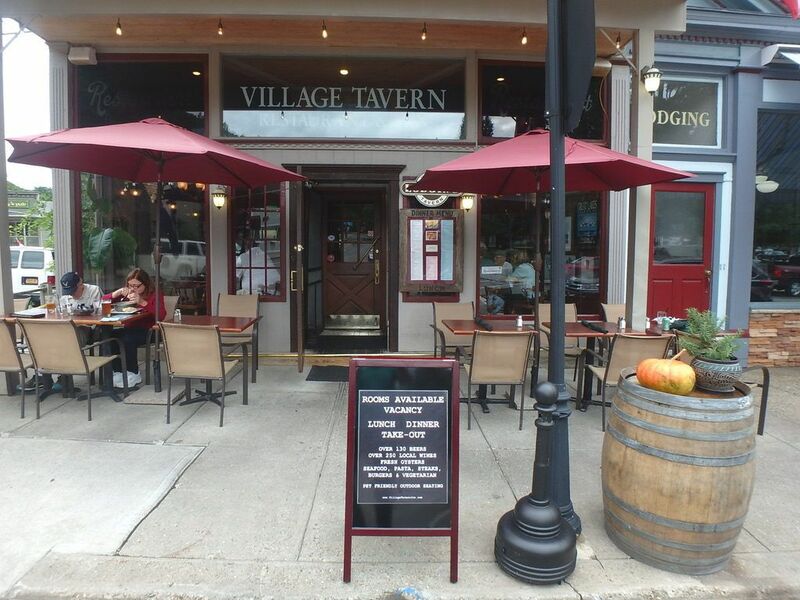 Village Square Tavern is a cute Hammondsport square location for phenomenal dining and is a 241 find because it also has rooms available. Before visiting the Finger Lakes in 2013, I had heard of Corning only from Corningware. My mother owns some. As I'm sure your mother does too. However, Corning Inc. does so much more than cooking containers. There are many examples, but I have a few that will surprise you. Gorilla Glass was invented and patented by Corning, which keeps many cell phones safe, including mine. Also, Corning Corp. has been taking giant strides to help the environment through innovative environmental technologies with ceramics and glass. Let me just say, thank you Corning Inc. for protecting my phone and our home, planet earth. However, I can't tell a lie, I did repeat an adventure on my second visit to Corning, but in a new way. I revisited the Corning Museum of Glass. Why? I love pretty things and on display are lovely masterpieces, all made out of glass. Plus, I adored my first visit. 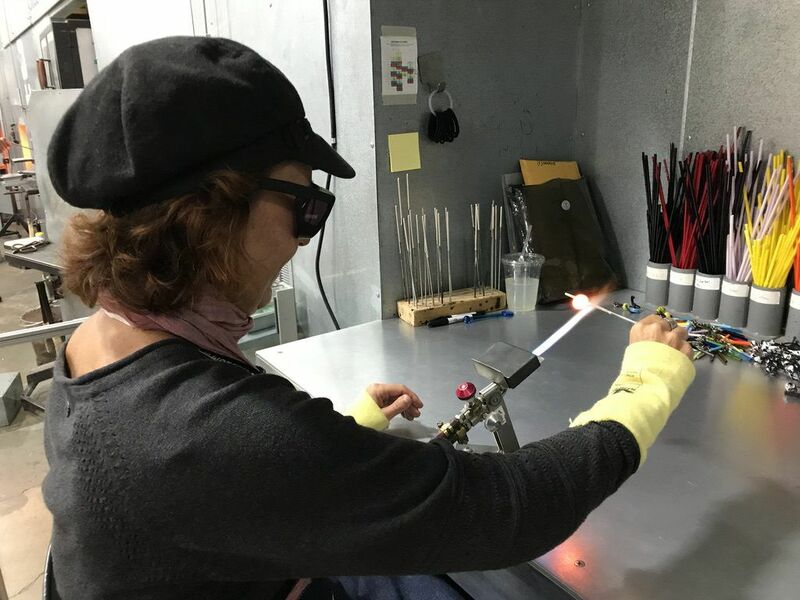 During which, I learned the basics of the glass process, vocab like gaffer (glassblower), and how difficult it is by making my own flower (first picture above). This time, I decided to make a piece that I could travel with, a glass bead (process pictured above). You may wonder why working with glass is an adventure. 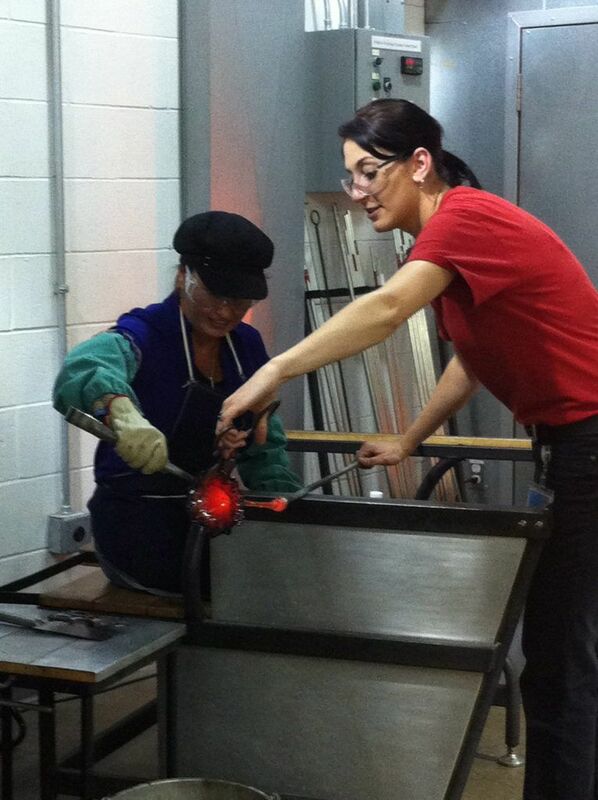 With a high heat flame, you need to use both of your hands in order to turn and mold the glass. Everything is very time-sensitive. You must be focused. You don't want to burn yourself or anyone else. You need to react to the temperature of the glass in order to create a masterpiece or in my case something wearable. It was definitely an adventure. However, I do know that I will not be applying to be a gaffer anytime soon, but I will wear my glass bead with pride. Although there were many firsts on both of my trips to the Finger Lakes, New York, I never expected in a million years that I would be able to say that I raced on a NASCAR and Formula 1 track. Yes, after completing other adrenaline junkie activities, I strapped myself into the second pace car (pictured below) at Watkins Glen International. 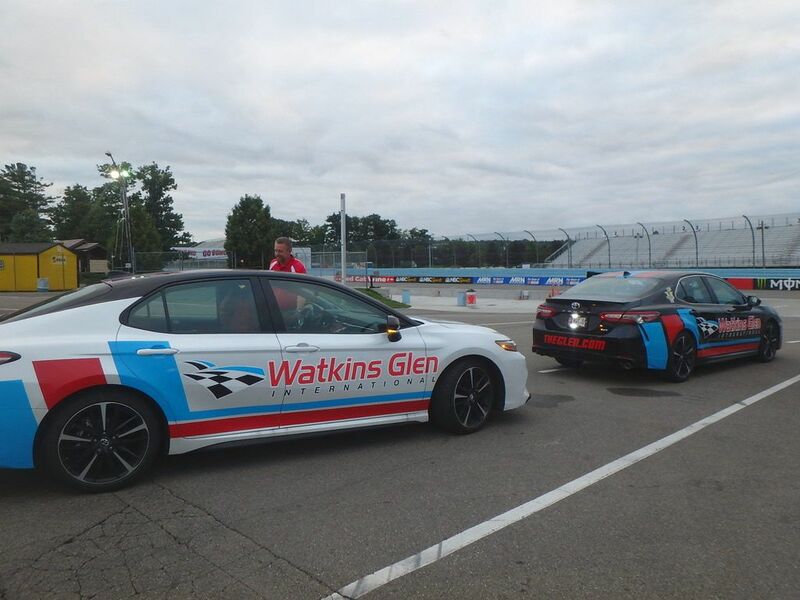 Mind you, I buckled myself into the back seat of the car as a professional driver showed me how a pace car is supposed to handle on the Watkins Glen International track. I was in for a ride full of tires squealing and sharp corners. I had always imagined the racetrack to be very circular, but this track had elevation changes, curves, and straight stretches that allowed for the driver to open it up, making the ride a super thrill. 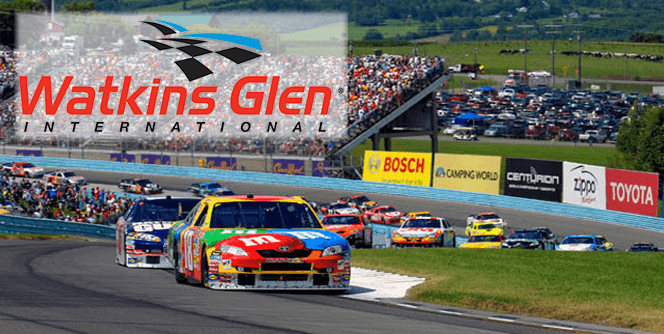 Two thumbs up and a BIG smile for the driver and Watkins Glen International! As a finale of an adventure-filled visit, I thought a pitstop for a locally crafted beer would be ideal. Plus, I had heard there was just a place, Brewery of Broken Dreams. Luckily Douglass and Shelly, the owners, were around to explain some of there 100% New York State beers, which means they are locally sourced. 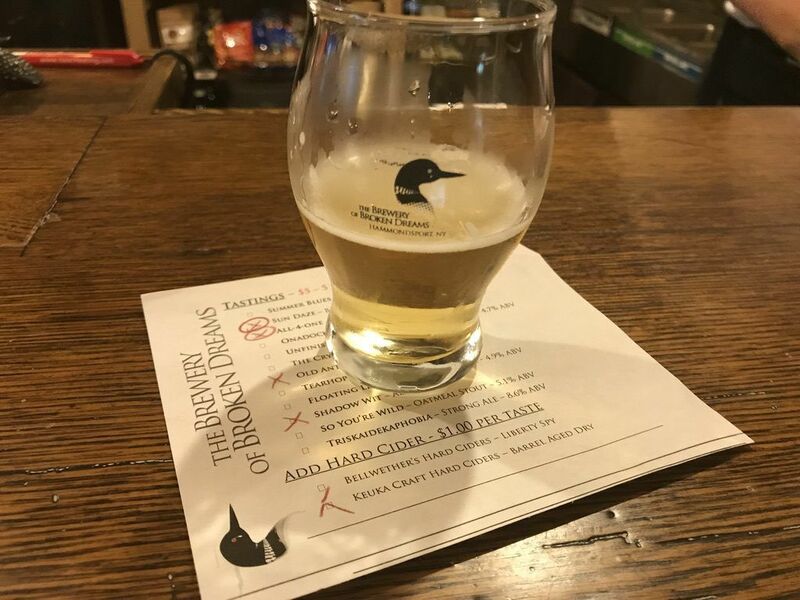 As a Cheesehead, I'm a light lager kind of beer drinker, but when in the Finger Lakes and amongst brewers, I tried four different brews: Sun Daze (Belgian Blonde), All-4-One (American Lager), Old Antics (Amber Ale), and Shadow Wit (Ale). Surprisingly, I loved the last two far better than my go-to choices. It just goes to show to continue to try and do new things whether in your hometown or when visiting someone else's. Cheers! With two visits under my belt, I still have items on my Finger Lakes adventure list. On my first visit, I loved kayaking, horseback riding, and leaf-peeping via plane. 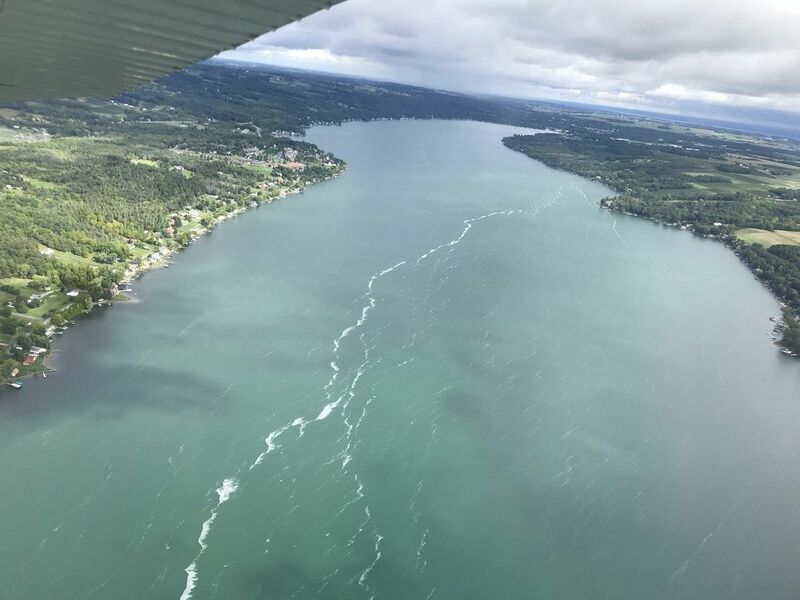 On this second visit, I took a scenic flight via seaplane, hiked the Finger Lakes Trail, raced at Watkins Glenn International, and tried some amazing wines, beers, and food. 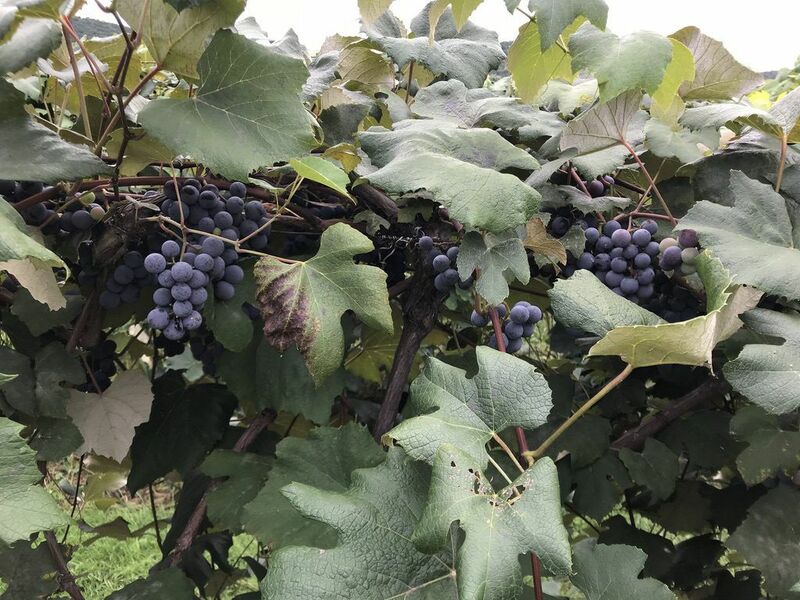 However, I’m dying to go gliding on Harris Hill, paddleboard Keuka Lake, hiking a larger portion of the Finger Lakes Trail, and perhaps even helping in the harvest of grapes some year. If you have yet to visit the Finger Lakes, put it on your travel goals list. Adventures abound are there waiting for you; plus, there is a myriad of delicious refueling spots from vineyards and breweries to unique, farm to table restaurants. As always, here’s to looking up in New York or wherever you are! We realized last year that there have been no real vacations since the kids were born. So glad I found your site. I am digging in to see where we can go in the Spring! 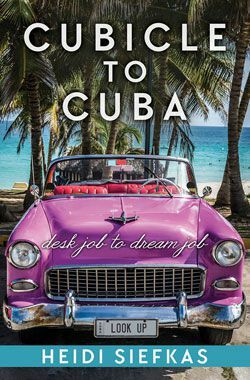 I would highly suggest Cuba.